Anokiwave Inc. earned the ISO Quality Management System certification, ISO 9001:2008, affirming its commitment to ongoing organizational process improvements to deliver the highest quality products and services to its customers. 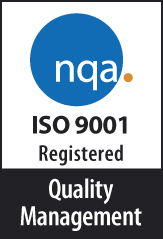 San Diego CA, 9 February, 2016: Anokiwave, Inc., an innovative company providing highly integrated core IC solutions for mmW markets and AESA based solutions, today announced it has achieved ISO 9001:2008 certification after a thorough analysis of its management and organizational processes by NQA, an independent, third party registrar. By receiving this certification from an industry-recognized, third-party registrar, Anokiwave assures customers that they are committed to delivering world-class service and products. Attaining the ISO 9001:2008 certification involved a self-evaluation process undertaken over the course of nine months during which Anokiwave fully assessed its quality system and procedures. These processes were then validated through an audit conducted by an external, accredited organization, NQA. Anokiwave has committed to continuously assess and improve its systems and processes and undergo follow-up audits annually. Anokiwave is a cutting edge provider of highly integrated core chip solutions that enable emerging mm-Wave and AESA markets. Anokiwave’s creative system architectures and optimal selection of semiconductor technologies solve the toughest engineering problems.